Oncology, which refers to the diagnosis and treatment of all types of cancer, is also available. OVRA internists and surgeons are skilled in the diagnosis and staging of cancer in dogs and cats. Following a diagnosis of cancer, a treatment plan is offered that is focused on preserving quality of life for your pet. 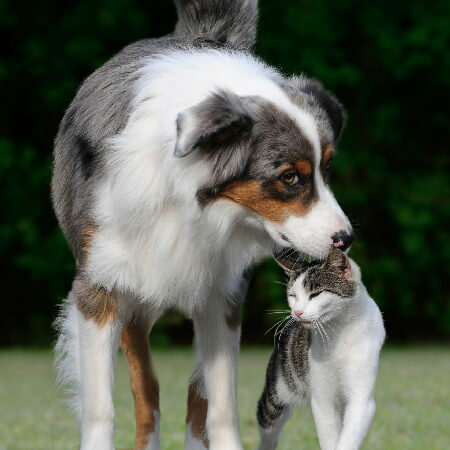 The treatment plan may include surgery, chemotherapy, radiation therapy; or it may be a palliative (comfort care) plan to help control symptoms and keep your pet comfortable through the course of your pet’s illness. OVRA maintains a regularly scheduled chemotherapy clinic for cancer patients, if you elect to proceed with this treatment option for your pet.